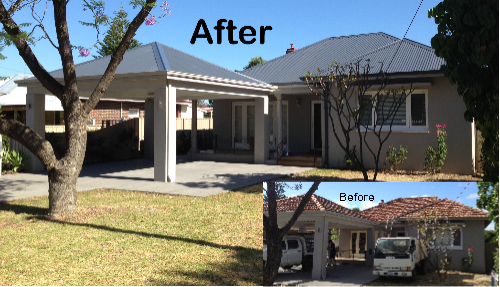 Top Gun Roofing & Restoration are external renovation specialists - re-roofing, wall cladding, gutters, patios and decks! 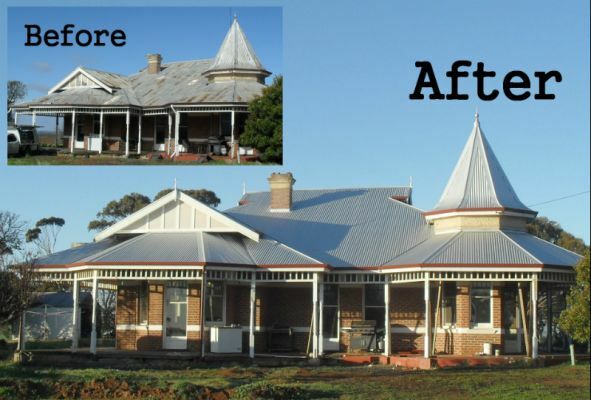 Re-roofing entails removing your existing roof cladding,(tiles, asbestos, decramastic or iron) and replacing it with new roof sheeting in either Zincalume or Colorbond. Damaged roof timbers are dealt with at this stage along with fascias, gutters, downpipes and eaves linings. Clad your walls with a variety of finishes! 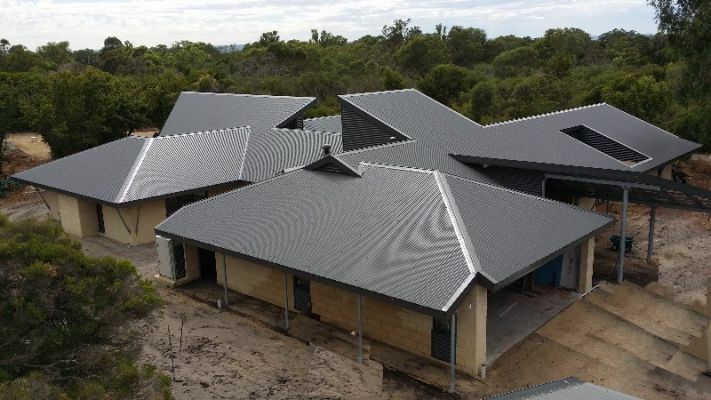 Re-roofing and wall cladding will not only prolong the life of your home for years to come but will also improve the overall look of your home.